The Columbiana High School Structural DI Team has qualified for Destination Imagination Global Finals competition. The Global competition will be held in Kansas City, Missouri at the end of May. 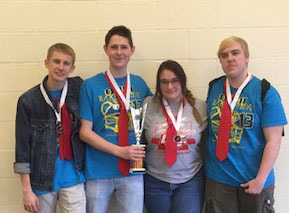 The team has competed at Regionals , State, and have earned the right to advance to Globals.